Windows Azure Development portal has been moved to new Silverlight based portal. It has all new look and many new features. SQL Azure can be explored by selecting Database option from the left panel. New SQL Azure portal is having very nice Silverlight based user interactive UI and many more operations can be performed through the UI. There is new database manager and it allows us to perform operations at table and row level. 3. Create/edit/delete rows of table. 6. Create / execute queries etc. . . .
Let us have a walkthrough on various operations we can perform on Database option of new Windows Azure portal. 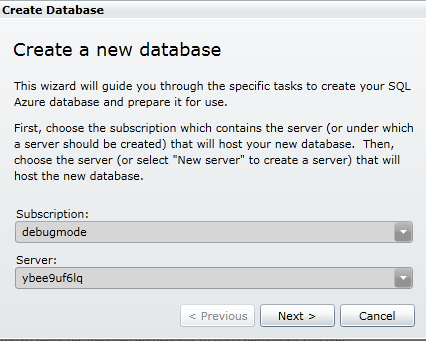 To create new Database, select Data base server and from Database section, select Create option. 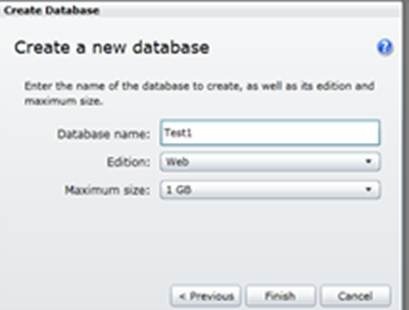 Give name of the Database, select Edition and maximum size of the database. Once database got created, select Manage option from top to open Data Base Manager. 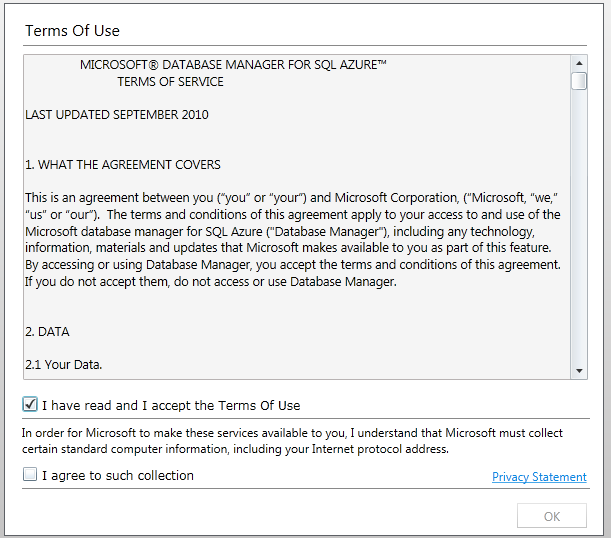 Accept given term and conditions and click Ok.
After Ok, you will get popup asking password to connect to database. Provide password and click on Connect . After successful connection , you will get a cube providing all the information about the database you connected. 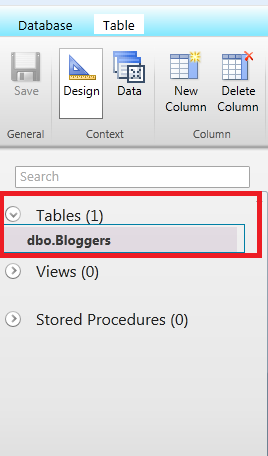 If we want to create new table, click on New Table option from ribbon. We are creating a table with name Blogger. 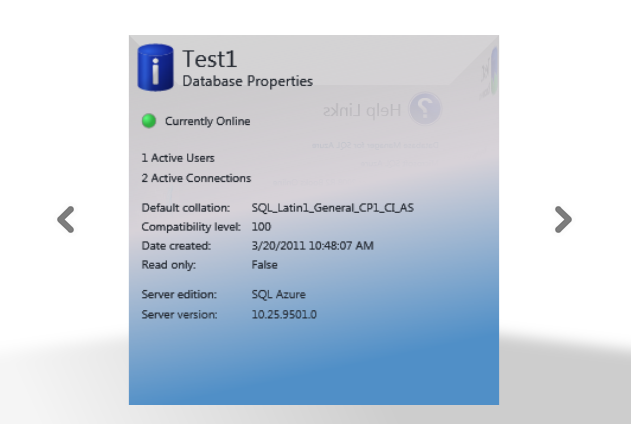 We are giving there columns ID, Name and Technology. From drop down we can select data type for the columns . You can navigate between Data Base and Table tab. You can create and delete column from here also. Once you click on save button, you can see table listed at left panel. At top you can see you have option to navigate either design or data view of table. Click on Data tab to navigate to Data view. Click on Row to add a Row in the table. After adding two rows, you can see table as below. You can add and delete rows from top button also. 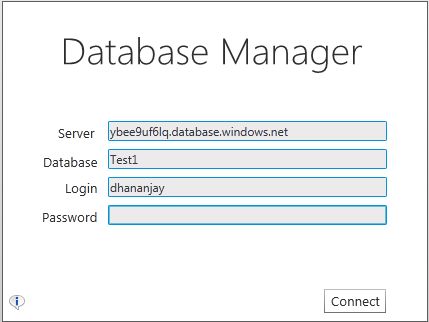 In this way , you can perform almost all the basic operations from new SQL Azure Data Base Manager.